It's time for another Papertake Weekly Chllenge. These cute penguins are on special offer at the mo', so go grab yourself a bargain! I coloured with copic pens and the paper is a little snippet by Doodlebug. Another stunner today Liz - fabulous design. 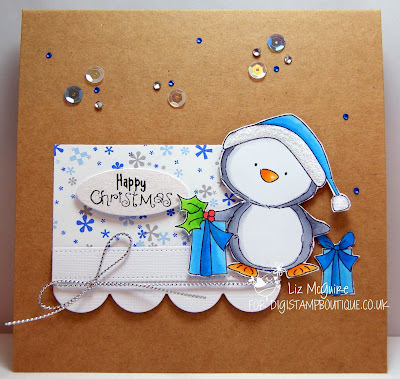 ok I love this card I am a huge fan of the Kraft card stock and you have a penguin on it that makes it perfect!!!!! Great use of kraft paper. 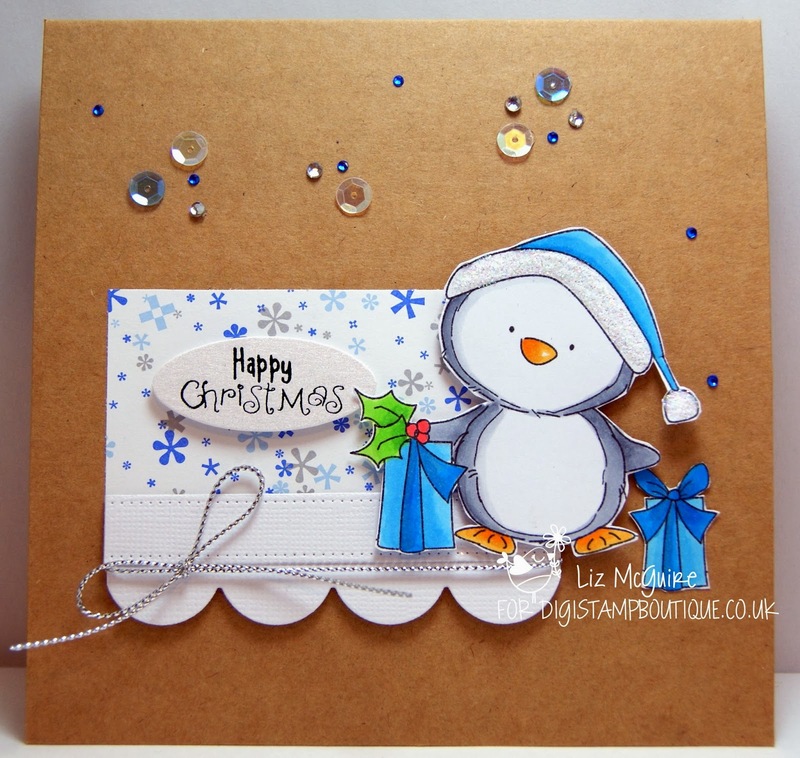 Love the kraft background and the twinkly embellishments alongside your cut image.